Hello everybody and welcome back to Everything Hamradio! Today we are going to continue our series on the Technician Class License Question Pool! Today we will be talking about Talking to Outer Space. T8B04 Which amateur stations may make contact with an amateur station on the International Space Station using 2 meter and 70 cm band amateur radio frequencies? T8B10Â What do the initials LEO tell you about an amateur satellite? LEO stands forÂ Low Earth Orbit.Â AÂ low Earth orbitÂ (LEO) is anÂ orbitÂ aroundÂ EarthÂ with an altitude between 160 kilometers (99 mi), with anÂ orbitalÂ period of about 88 minutes, and 2,000 kilometers (1,200 mi), with anÂ orbitalÂ period of about 127 minutes. T8B03Â Which of the following are provided by satellite tracking programs? Many factors come into play when you are trying to talk or track a satellite. You have to know the track of the satellite, the time it takes to go across the sky, the elevation from your location at the start and finish of the viewable window of the satellite and lastly what the apparent frequency is taking into account the effects of doppler shift. For those that doesn’t know what the doppler effect is, it that the signal is higher when an object is coming towards you and lower when it is going away. The best example of this is a train horn. When you are sitting at a crossing and the arms are down because a train is coming. When the trash is coming towards you the horn is higher and louder than it appears after the train has past. It seems quieter and lower after the train has past because the sound waves aren’t being compressed by the engine and/or the air displacement that the engine makes while in motion. T8B06Â Which of the following are inputs to a satellite tracking program? Semimajor axisÂ () – the sum of theÂ periapsis and apoapsis distancesÂ divided by two. For circular orbits, the semimajor axis is the distance between the centers of the bodies, not the distance of the bodies from the center of mass. InclinationÂ – vertical tilt of the ellipse with respect to the reference plane, measured at theascending nodeÂ (where the orbit passes upward through the reference plane) (green angleÂ iin diagram). Longitude of the ascending nodeÂ – horizontally orients theÂ ascending nodeÂ of the ellipse (where the orbit passes upward through the reference plane) with respect to the reference frame’sÂ vernal pointÂ (green angle Î© in diagram). Mean anomalyÂ atÂ epochÂ () defines the position of the orbiting body along the ellipse at a specific time (the “epoch”). T8B05Â What is a satellite beacon? Just like beacons in other areas of amateur radio, the transmission contains information about itself, in this instance it contains information about the satellite. T8B09Â What causes spin fading when referring to satellite signals? As a satellite flies across the sky, it rotate s. Because it rotates, part of the time the satellite is between you and the antenna. In the beginning days of services like dish network and direct TV, the dishes were small and maybe even the signal wasn’t as strong as it is now. In those early days, if someone were to walk directly in front of the satellite dish, you could actually see the shape of them go across your TV screen. The same principle applies to the signal when the satellite itself is between you and the antenna. T8B07Â With regard to satellite communications, what is Doppler shift? 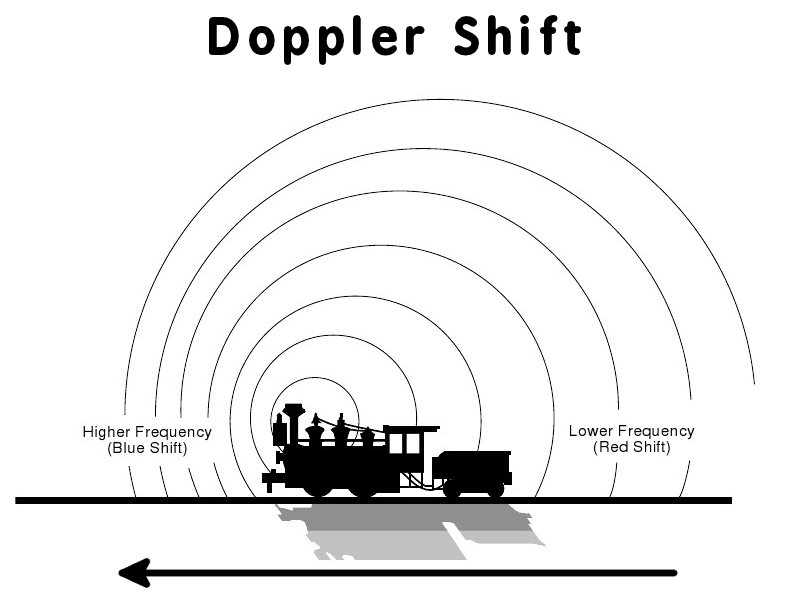 We touched on this a little bit a few questions ago but letâ€™s dive a little deeper into what exactly the Doppler Effect is. The Doppler Effect is the effect that motion has radio frequencies due to the motion of the object transmitting the frequency in relation to the receiving station. Â When the transmitting object is coming towards you the radio transmission is compressed because of the motion, once the transmitter passes the receiving station, the frequency waves expand and seems to go lower. Probably the easiest way to explain what the Doppler effect really is it to imagine yourself sitting at train crossing with a train coming. The horn is blowing warning people that a train is coming. The sound of the horn when it is coming towards you is loud and relatively high. Once the train passes you, the sound of the horn drops significantly as well as the volume. T8B08Â What is meant by the statement that a satellite is operating in mode U/V? A satellite repeater is much like what is called cross-band repeating using your dual band radio. Using cross-band repeat on your dual band radio, you talk on one band and receive on another band and your dual band radio will transmit on the opposite band than what the transmission was received on. For example, if you transmit on 70cm, your dual band radio will receive it on 70cm and will retransmit it on 2m or 1.25m or whatever your dual band radio is. With satellites, it is basically the same except for that the uplink band will always be 70cm and the downlink will always be 2m. T8B02 How much transmitter power should be used on the uplink frequency of an amateur satellite or space station? Just like with any amateur radio transmission you make, you should ALWAYS use the minimum amount of power need to complete the contact. (f) No station may transmit with a transmitter power exceeding 50 W PEP on the UHF 70 cm band from an area specified in paragraph (a) of footnote US270 in Â§2.106, unless expressly authorized by the FCC after mutual agreement, on a case-by-case basis, between the District Director of the applicable field facility and the military area frequency coordinator at the applicable military base. An Earth station or telecommand station, however, may transmit on the 435-438 MHz segment with a maximum of 611 W effective radiated power (1 kW equivalent isotropically radiated power) without the authorization otherwise required. The transmitting antenna elevation angle between the lower half-power (âˆ’3 dB relative to the peak or antenna bore sight) point and the horizon must always be greater than 10Â°. (g) No station may transmit with a transmitter power exceeding 50 W PEP on the 33 cm band from within 241 km of the boundaries of the White Sands Missile Range. Its boundaries are those portions of Texas and New Mexico bounded on the south by latitude 31Â°41 Â North, on the east by longitude 104Â°11â€² West, on the north by latitude 34Â°30â€² North, and on the west by longitude 107Â°30â€² West. (i) No station may transmit with an effective radiated power (ERP) exceeding 100 W PEP on the 60 m band. For the purpose of computing ERP, the transmitter PEP will be multiplied by the antenna gain relative to a half-wave dipole antenna. A half-wave dipole antenna will be presumed to have a gain of 1 (0 dBd). Licensees using other antennas must maintain in their station records either the antenna manufacturer’s data on the antenna gain or calculations of the antenna gain. T8B11Â What is a commonly used method of sending signals to and from a digital satellite? T1A07 What is the FCC Part 97 definition of telemetry? T1A13 What is the FCC Part 97 definition of telecommand? So that brings us to the end of this section. Next week we will be talking about Your Computer Goes Ham Digital! Please share my blog with your friends and if you have not done so already, please subscribe to my email list to get the latest and quickest notifications of any new post that I publish. You can sign up in the box on the sidebar. If you would rather, you can also sign up for my RSS feed. Please Like me on Facebook, and follow me on Twitter, Google+, LinkedIn and StumbledUpon. Links to all of these can be found under social on the menu.